What is this? I took this photo in January while drunk outside a bar in Perpignan, and just found the photo again. 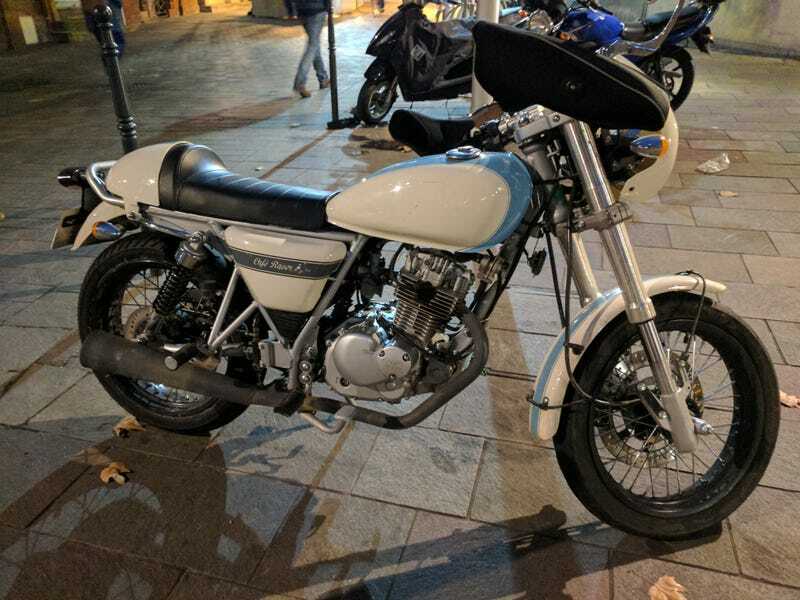 Of course it’s a cafe racer, but would it make a good first bike? but historically they were home-built machines. Anyway, I thought it was beautiful, so wanted to know if it’s a thing you can buy.